Is What You Perceive What You Believe? Not long ago, I attended a workshop where the presenter displayed a picture of what appeared to be a duck to some and a rabbit to others. 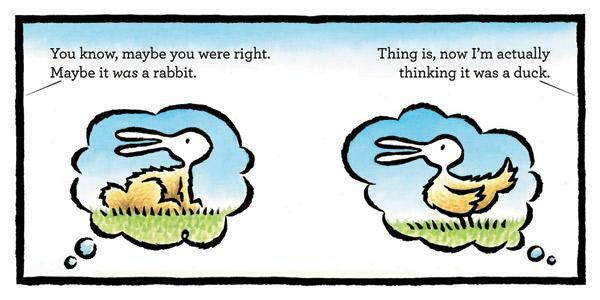 Though he said there was no right or wrong answer, I still wonder why I saw the rabbit first? Today, I read a passage in my Taoism book about how there are no objective viewpoints because our perceptions always get in the way. This is very true because I’ve learned that my perception has the power to dictate the direction in which I am headed or not headed. When I was a child and into early adulthood, I struggled with low self-esteem and simply felt isolated. Often, I convinced myself that I was not good enough and allowed my own perceptions to control me and how I interacted with people. Getting beyond my negative perceptions of myself, some of which sadly were perpetuated by others, was a major hurdle to overcome. Clearly, my perceptions impacted my actions and reactions. If I said I am overwhelmed, I felt overwhelmed. If I believed no one liked me, no one liked me. If I thought I would not achieve a goal, I would not achieve the goal, and if I did, then it was luck. A little over a decade ago, I became more cognizant of my thoughts and perceptions. Instead of looking at a situation and feeling defeated, I came up with motivational affirmations and focused on the positive aspects of my life and life in general to keep me moving forward. This is a practice I still employ today. Sometimes I wonder what my life would look like if I figured out the power of believing what I perceived years ago. How many more achievements would I have? How many more lives could I have impacted in a positive way? Then I realize that I am missing the point and should just be in this moment enjoying all of the many blessings in my life. No, my life is not “perfect,” but I am so grateful for the life I have. We all are given the opportunity to create our own perceptions, and I have chosen to perceive my life as wonderful. What do you believe about yours? Do you see the rabbit or the duck?